Located near Spring Brook’s golf course, this spacious, five bedroom home has two floors plus a finished basement complete with game room. The home’s exterior features a wrap around deck, a covered rear deck, combo gas/charcoal grill and a fire pit. Perfect for multifamily or group gatherings, it sleeps a maximum of 14 people. The main floor offers a private master bedroom with king bed, TV (satellite service throughout the home) and an en suite bathroom. The fully furnished kitchen is well stocked and opens up to the rustic dining room. Guests will be swept away by the chimney gas fireplace and cathedral ceilings of the living room. Relax on the queen sofa sleeper in front of the large flat screen TV complete with a home theater system and DVD player. There is also an additional half bath on main floor for guest convenience. Head upstairs for two more bedrooms each with a queen bed and TV. A full bathroom will accommodate the occupants of both upstairs bedrooms without having to make the trip down to the main level. The lower level boasts a finished basement with a cozy family room equipped with a large flat screen TV, a home theater system and DVD player. For fun and games, there is also a pool table, dart board and various board games. 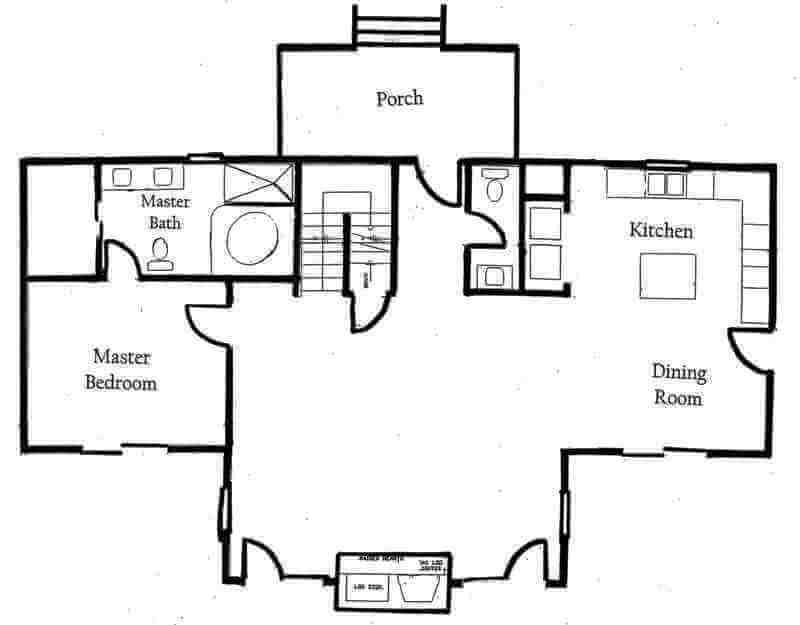 Also, the fourth and fifth bedrooms (queen bed & TV in each) provide additional sleeping accommodations with yet another full bathroom to share. The garage is not included and until further notice the home does not have use of the whirlpool tub in the master bathroom. Wi-Fi is complimentary but guests are to provide devices. The house is also in close proximity to Spring Brook’s Clubhouse, which is home to the Spring Brook Sports Bar & Grill, indoor/outdoor pools, fitness room, golf course and pro shop. Home sleeps maximum of 14, rates based on 10 people over the age of 3. Extra guest fee of $15/night per additional guest applies. Security Deposit of $500 required.